Meeting with representatives of companies you are considering hiring will help you understand their services and fees. 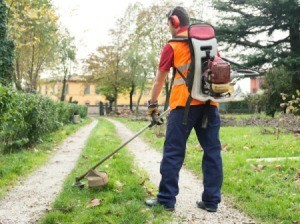 This is a guide about tips for choosing a lawn care service. For individuals who want a well-maintained lawn but who don't have the time or desire necessary to achieve it, hiring a lawn care service is a great way to have a beautiful lawn; while still preserving enough leisure time to actually enjoy it. Selecting the right service can be difficult - especially if you don't know what questions you should ask. When it's your job to hire someone else to do the job, use these tips to make the process a little easier. First, decide what lawn or landscaping services you need. Examples of some services may include: landscape maintenance, mowing and de-thatching, fertilizing, weed control, disease control, re-seeding or sodding, soil testing, and aerating. Once you have determined what you need, seek out several different companies and ask them what types of services they have to offer. 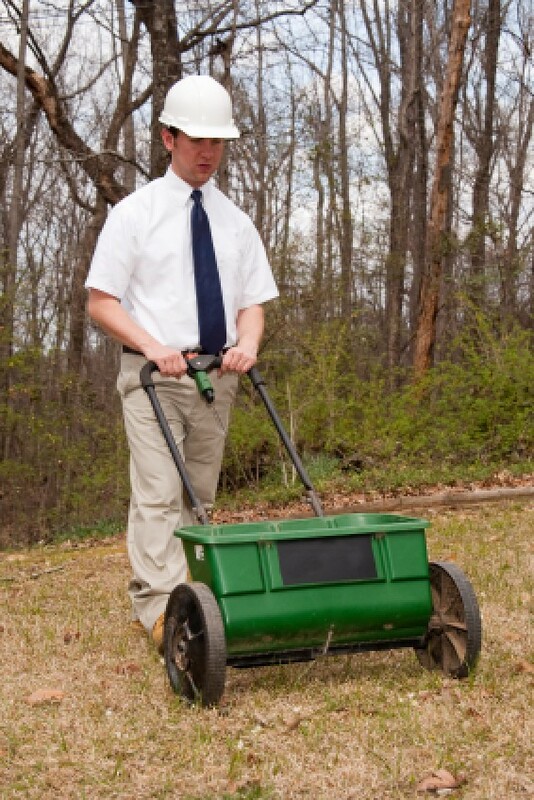 Be aware that many lawn care companies offer various tiers of service that vary in price. Some offer a range of flexible, a la carte services, charging the homeowner only for what he or she needs. Other companies may charge a flat fee that covers a specific number of visits or a specific set of services like mowing, fertilization, and weed control, with additional services available at an additional cost. If you're looking for someone to do your mowing, find out how frequently they will service your lawn, and also what their policy is regarding missed visits due to bad weather. Should a problem arise, how will they communicate that to you? Have a representative of each company you are considering hiring visit your property to determine problems, level of maintenance, and pricing options. Each lawn is different and bears its own unique set of strengths and weaknesses. Educate yourself so you're familiar with weed, pest and disease problems common to your area. Never blindly accept service over the telephone without having someone evaluate your lawn in person first. Ask the company to verify that they are licensed and carry liability insurance. In many states, persons or firms that apply pesticides for hire are legally required to have a valid pesticide applicator's license issued by the Department of Agriculture - Bureau of Pesticide Control. Most must also have proof of insurance on file with the state. Be wary of companies that don't have a listed telephone number, or claim to be endorsed by a state or federal agency. The date, time, and which pesticides were applied. Information on the potential health hazards to people, pets, and the environment. How long to stay off the lawn after treatment? A lawn marker indicating that a recent chemical application has been made. Ask what kinds of products the company uses and have them explain why. How do they keep staff updated on new techniques, regulations, and requirements? Are organic options available, and if so, is there an extra cost? Get a copy of your service agreement in writing. Ask if the service is automatically renewed each year and if there are penalties if you decide to cancel your contract early. Also, ask about guarantees. Using a lawn care service is no guarantee that you will have a perfect, problem-free lawn, but many companies will guarantee to provide some level of corrective measures if you are dissatisfied with the results. Before signing a contract for lawn care services compare the services and pricing plans of at least 2 to 3 reputable companies. Ask them how long they have been in business and if they can provide you with references. Don't base your final decisions solely on a flashy brochure. Use friends, neighbors and co-workers as a starting point when looking for company recommendations. If they don't have any, try your county extension agency. With all of these questions that this article is suggesting to use, I think that I will look into how easy it is to communicate with the landscaping company. Another thing, is not just how often do they answer the phone, how do they feel talking to me? Do I feel like they are slightly annoyed that I call a lot? I like your plans to call two or three companies, that will give me a better chance to find someone I can gel with. Thank you Ellen for this useful post! I have to hire someone to take care of our lawn and do some maintenance and pruning. It's the first time I need to rely on a lawn care company so I don't really know what to ask and what to make sure, so this post was very helpful. It's good to know that some companies offer different kind of sets, that could be a good option for us as well. Thanks again!